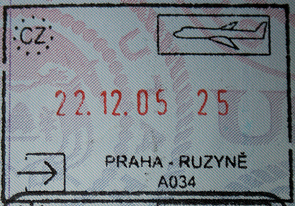 The conditions regarding entry and stay of individuals in the territory of the Czech Republic are regulated by the Act No. 326/1999 Coll., on Stay of Aliens in the Territory of the Czech Republic, as amended (the “Alien Act”). Citizens from some non-EU countries are required to hold a visa when traveling to the Schengen Area. The EU has a common list of countries whose citizens must have a visa when crossing the external borders and a list of countries whose citizens are exempt from that requirement. These lists are set out in Regulation No 539/2001 and its successive amendments. Generally, a short-stay visa issued by one of the Schengen States entitles its holder to travel throughout the 26 Schengen States for up to three months within a six-month period. Visas for visits exceeding that period remain subject to national procedures. Here you can find a list of the Czech Embassies around the world. If you live in one of these countries, the local Embassy will be able to assist you in any preparations for visiting the Czech Republic. If you do not have a Czech Embassy in your country, please visit the Ministry of Foreign Affairs of the Czech Republic: http://www.mzv.cz/jnp/en/index.html for more information.